Volkswagen went all out with this luxury vehicle: the 2017 Volkswagen Touareg. From heated front seats to the leather-wrapped steering wheel and shift knob, you’ll never feel more relaxed than when you’re behind the wheel of this midsize SUV. But don’t worry – the Touareg never sacrifices capability. Underneath those upscale trimmings lies a powerful V6 engine that delivers 280 horsepower and 266 lb.-ft. of torque. 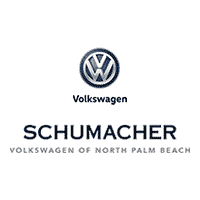 Take charge in North Palm Beach, Florida, with the new VW Touareg.